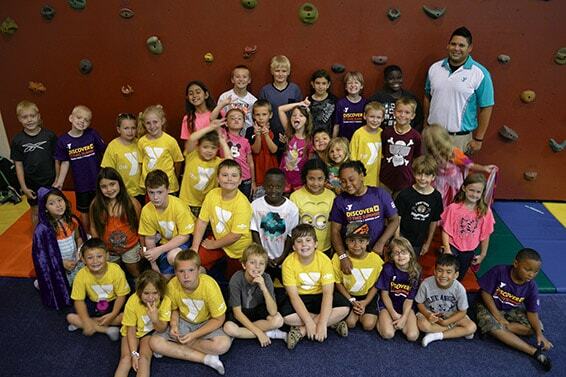 The Zeno Zone was crawling with rambunctious summer campers at Plant City’s YMCA last week. When Steven Schwamman called the children over from their imaginative games in the two-story playground, they climbed down to the sound of his booming voice. The more than 6-foot-tall athlete commands attention in any room, even one with enticing pingpong tables and computer stations. The new camp and aquatics director was hired about a month ago, and already the children love him. Schwamman is responsible for planning and running the summer camps. He’s also in charge of teaching swim lessons at the Y’s popular pool. A swimmer himself, Schwamman’s goal is to teach as many lessons as he can. His mother’s side of the family enjoyed swimming. But the Kansas native was the only one out of his immediate family who swam competitively in school. “It’s something I always liked,” Schwamman said. The kids are Schwamman’s even bigger passion. He arrives at the Y at 6 a.m. to greet the earliest campers. He knows almost all by first name, if not last, too. This year, he’s splitting his time between the three “villages.” The campers are divided by age; 5 to 7, 8 to 10, and 11 and up. This isn’t Schwamman’s first lap with the Y. He started volunteering at 17 to teach swim lessons and lifeguard. After graduating high school, he went on to receive his bachelor’s in nursing from Pittsburg State University in Kansas. Schwamman briefly worked in the nursing field before getting back to his roots. When his first boss at the Y told him about the Plant City opening, he jumped at the opportunity. Making the move from Kansas, Schwamman is adjusting but not finding it hard. Executive Director Rick Gould has already taken notice of Schwamman’s dedication. Contact Amber Jurgensen at ajurgensen@plantcityobserver.com.